Awesome Harbour Country Cottage - nær alt! Dette er en Lake Michigan hytte i alle forstand av ordet, og et flott sted å slappe av. Ligger like ved Red Arrow Highway i den lille byen Sawyer, ligger du bare 5 minutter fra Lake Michigan, midt i alt som Harbour Country har å tilby: antikke butikker, flotte restauranter, kunstgallerier og boutique shopping. Sawyer er det perfekte stedet: New Buffalo, Lakeside, Union Pier, Three Oaks og Lakeside er bare minutter nedover veien. Alle fasiliteter du forventer i en kvalitet leie inkludert internett, vaskemaskin / tørketrommel, gassgrill, skjermet i våpenhuset og mer. We loved the fireplace, and the decor was charming. It felt like a North woods cabin, but the modern amenities made it very comfortable. We would stay there again. Thanks for the kind review,, Ellen. My place is a cottage in the true sense of the word, but I've done my best to make sure it has all the conveniences as well. Please come back soon! We spent the New Year's holiday at the cottage with another couple and their 4-year old daughter. Too cold to use the sunroom, but we still had plenty of space to relax and enjoy. Lots of board games and shared meals on the dining room table. Beds are very comfortable and the master suite is huge! The last person to shower each morning only had a couple minutes before the hot water was depleted. Only other complaint was the ventilation. We used the wood fireplace a lot and, even with the flue open, we left with our clothes smelling pretty earthy. We like to antique and had plenty of options nearby. Fred was very easy to work with and the cottage was stocked with all the supplies and amenities promised. Would book again. Hello George and thanks for your review. The water heater was installed just last year and has a 50-gallon capacity, but I will make sure that it gets checked right away. We stayed here on an off season trip to the area for fishing. The owner has all the correct boxes checked: Good towels, nice comfortable beds, clean place, condiments and cooking oil, hotel soap and shampoo, easy entry and access and good directions. We had no complaints, price matched quality and expectations. We were looking for a quiet, relaxing fall weekend away and got what we were looking for. The cottage is well appointed and comfortable for a couple or a family. Good location close to several good restaurants, breweries and wineries for drinking/dining. Also close to warren dunes for a hike during nice weather. The cottage was clean, comfortable, and charming on the inside. Lots of nice amenities to help your stay. The owner was very nice and easy to work with. We enjoyed our stay. So glad you enjoyed your stay and thank you for the gracious comments. Property was clean and well stocked. Due to the cold weather, we spent a lot of time inside and the firewood provided was appreciated. Thanks for the positive review. 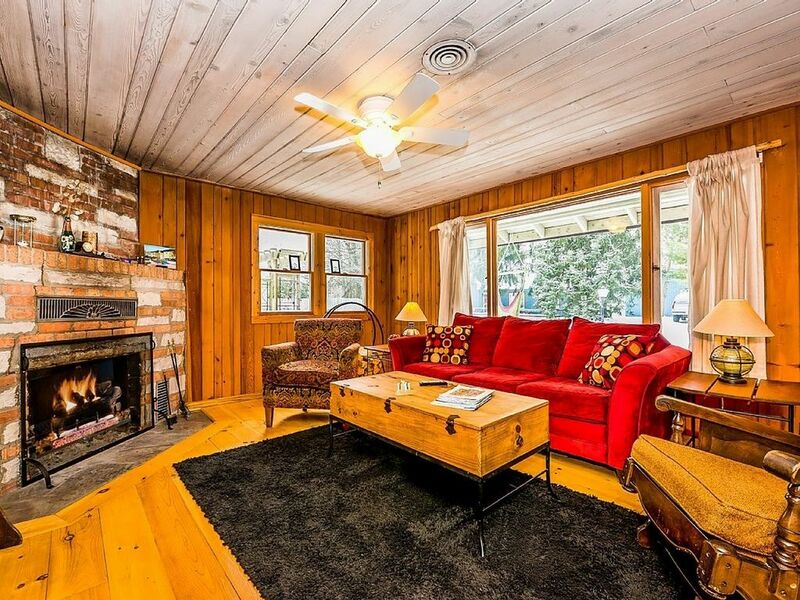 The cottage is a 4-season place and the fireplace is one of my favorite features. Please come back soon!